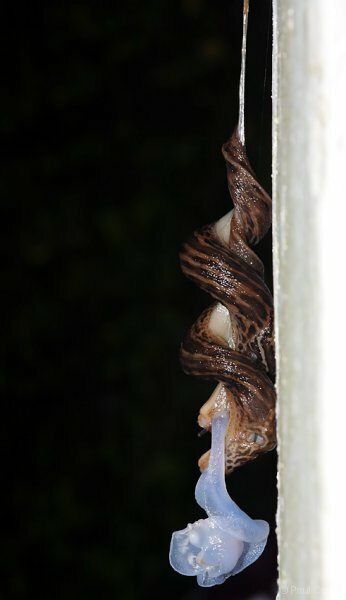 This sequence was taken over a 15 minute period on 25 July 2009. 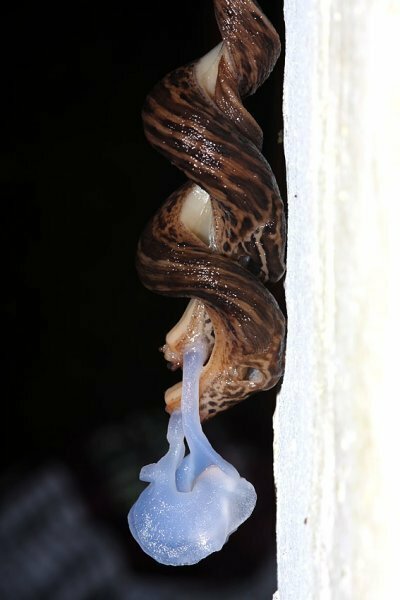 It shows a pair of leopard slugs (Limax maximus) in the act of mating. 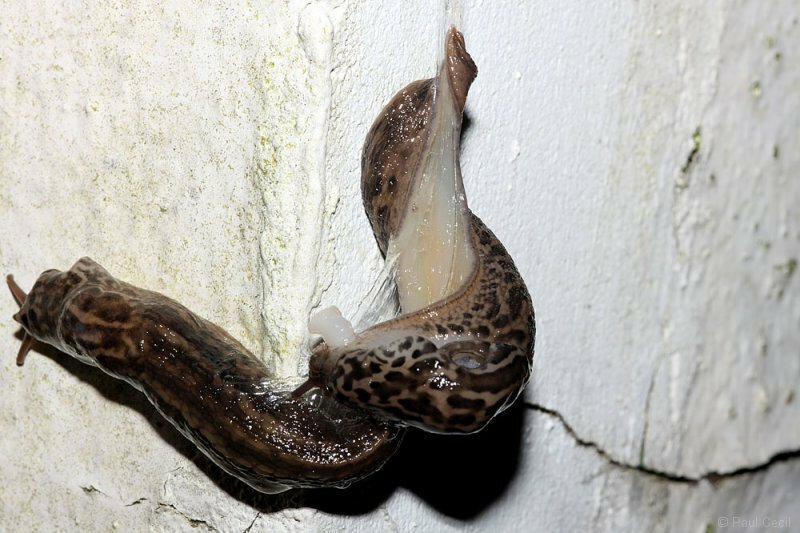 The slugs are ‘hermaphroditic’, that is they carry both male and female organs. 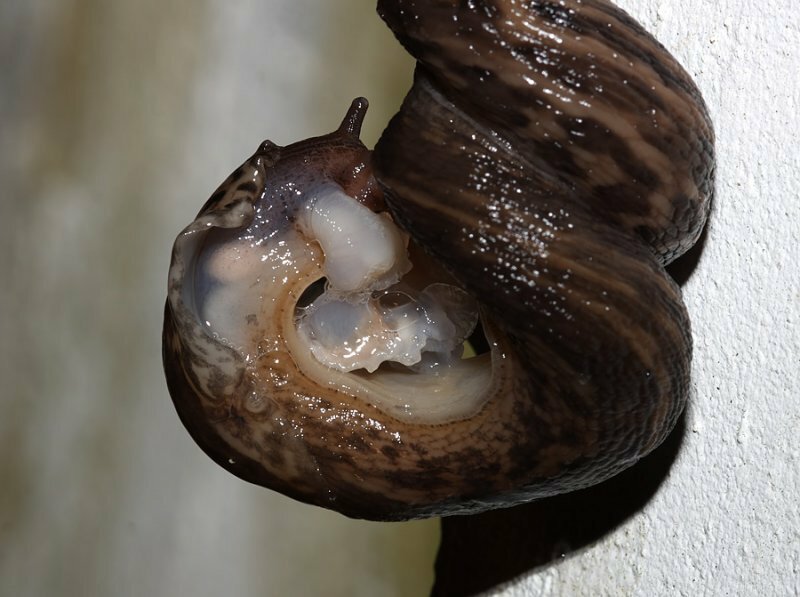 It still, however, takes a pair to breed. 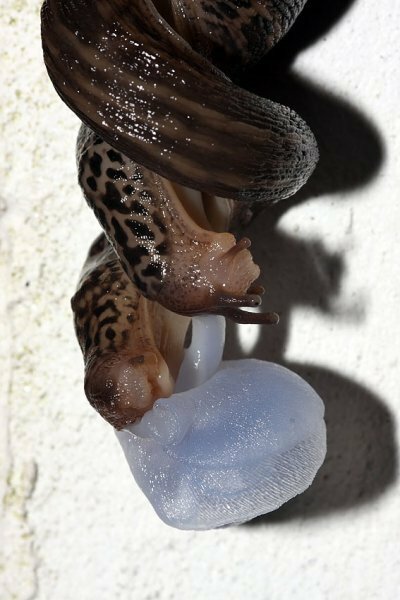 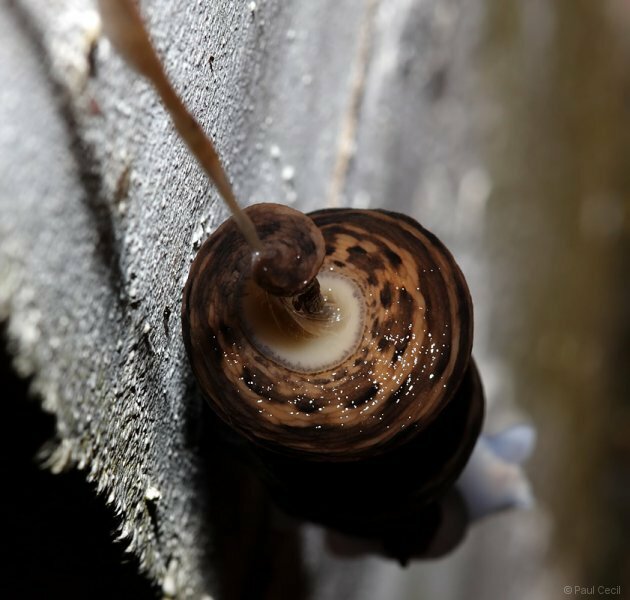 When they are ready to mate, the slugs suspend themselves in mid-air by a length of mucus, and then entwine their bodies tightly together. 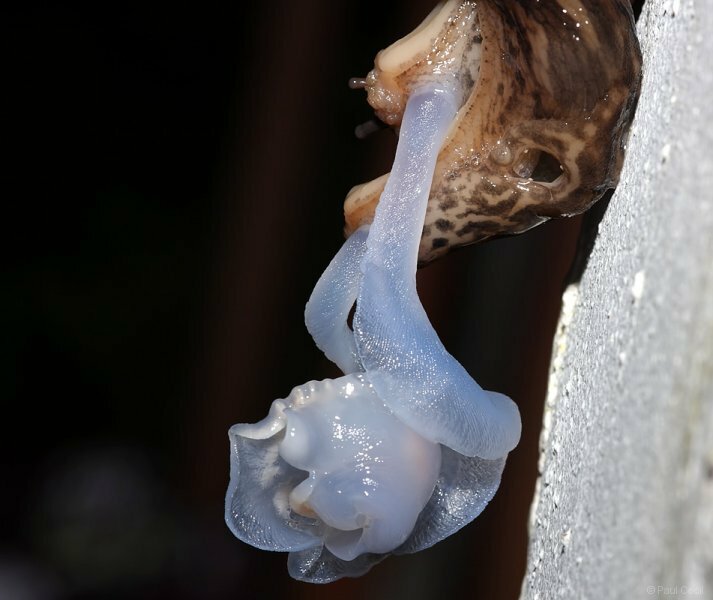 The male organ then everts (emerges) from just behind the head of each slug, and together embark on a prehensile dance. 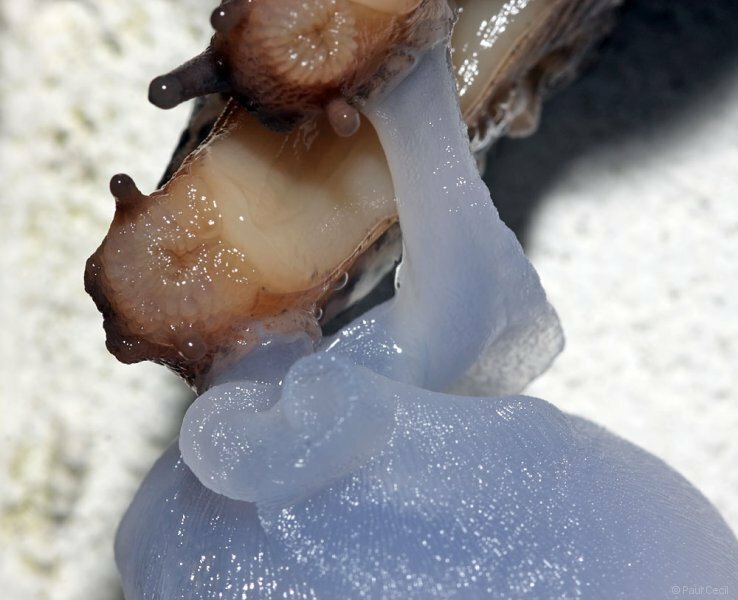 The shots here show most of the stages as they twist together and create a blue-white, semi translucent globe. 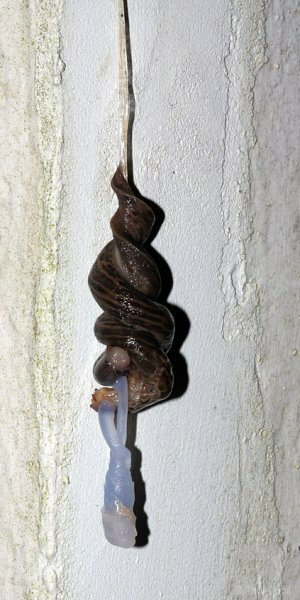 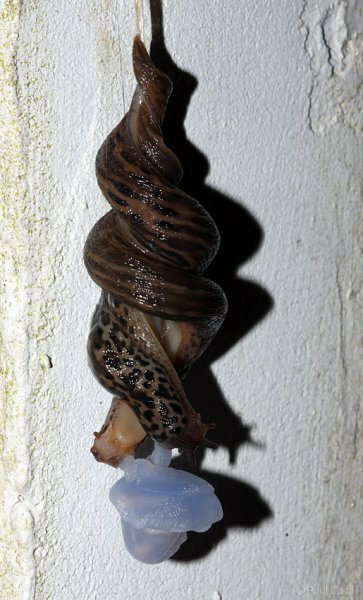 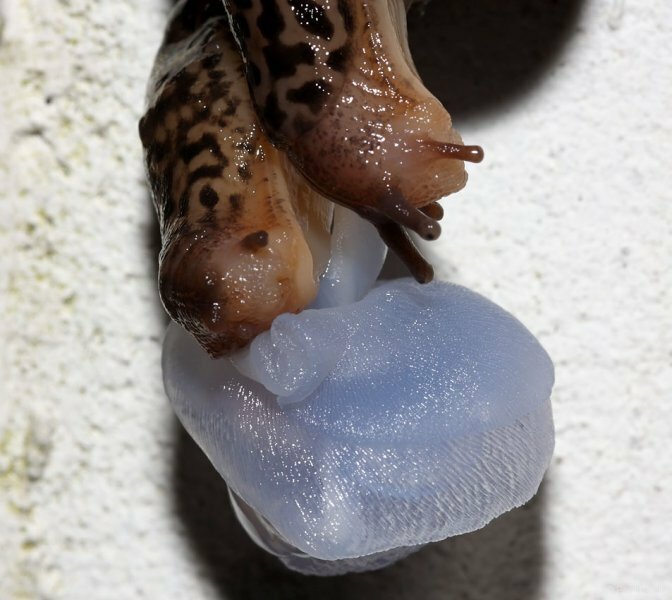 Both slugs are fertilized by the process, and then disentangle before going their separate way.